In May ITEM Software held a free seminar, in association with HKARMS, HKIE-SSC and HKIE-MMNC, to introduce our new software program, ITEM QT®, at the Hong Kong Polytechnic University, Kowloon. The seminar, entitled 'Are You Open to Change?' introduced the latest software release from ITEM Software. ITEM QT is an extraordinary collection of new capabilities that provide a customisable, cross-platform, multi-user, open framework for conducting reliability, safety and risk analysis. ITEM Software's Director of Research and Development, Dr Dongfeng Zhu, presented the seminar. Dr Zhu received his PhD from the University of Maryland, USA, in 2005. His research interests lie in the area of Probabilistic Risk Assessment, Risk Analysis, Software Reliability, Human Reliability and Financial Risk. Reliability and maintainability requirements for short to medium range aircraft is outlined in CCAR-25 and FAR-25. 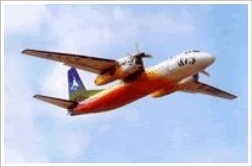 Functioning as a Systems Integrator, Xi'an Aircraft Industry Group used Item Software's ToolKitT to demonstrate a high degree of reliability by selecting vendors with proven reliability track records. While on the drawing board, Xi'an used the MainTain T module to construct maintenance policies and incorporate easy access to components that would require normal maintenance thereby increasing the dispatch rate. 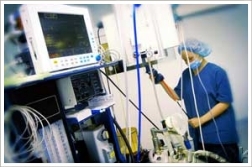 Concerns about safety are no more acute than in the field of healthcare. The safety crisis is highlighted by medical malpractice judgments that have reached historic proportions, and where an estimated 95,000 patients die under a physicians care while in a hospital. Physicians at Harvard School of Medicine and Item Software have partnered to develop Risk Models for Insurers, Hospitals and Device manufactures to assess procedural risk and invoke effective methods to control them. Eclipse Aviation has to show compliance with safety directives of 14 CFR Section 23.1309 as part of the Federal Aviation Authority (FAA) process for certifying the airworthiness of the Eclipse 500 aircraft. The safety assurance process is complex, and requires traceability of analyses and their results. 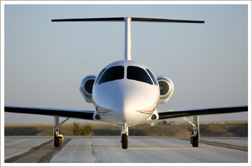 Eclipse Aviation has incorporated the ITEM ToolKitT software suite into their safety assurance process. Circé Engineering are experts in complex and critical systems for the Aeronautical, Nuclear, and Transport Industries. Circé has recently performed an Analysis for a French Nuclear Installation for the CEA (French Nuclear Ministry). 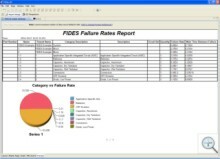 Confronted with problems of significant availability of its ventilation and electrical distribution systems, Circé Engineering has modelled all the failure modes and their consequences, as well as the scenarios that were causing the appearances of critical events, within the ITEM ToolKit T FMECA module. Around 1,000 failure modes and 200 events have been created for this analysis. A0 printing format facility allowed the visualisation of the full project. Thereafter, the action plan implemented following this study made it possible to notably improve the availability of the installation, by eliminating the weak points and improving the redundancy. The generic functional safety standard has hit the automotive industry hard. As per IEC 61508 safety is defined as, "Freedom from unacceptable risk to personal injury or of damage to the health of people, either directly or indirectly as a result of damage to property or to the environment". Functional safety is a part of the overall safety that depends on a system functioning correctly under normal operation. As a manufacturer of braking systems for rail and commercial vehicles, Knorr-Bremse used Item ToolKit T to extend their traditional FMEA analysis to a fully functional safety analysis. As we know, MIL-HDBK-217 has not been updated for quite some time. However it is used frequently in certain industries as a method for predicting reliability. With new technologies and manufacturing processes, component reliability has improved but it has not been reflected in the standard. The end result is very conservative reliability values. In a highly competitive bidding environment failure rate and mean time between failure values are a critical measure in contract awards. Companies have tried to come up with creative adjustments in their analyses to accurately reflect the expected product life. The Defence Microelectronics Activity (DMEA) was commissioned by the Office of the Secretary of Defence to reverse engineer components within MIL-HDBK-217 and then update the models. To learn more of the collaboration between ITEM Software and the DMEA, click here. In any Reliability or Risk analysis, confidence in the results is paramount. Once the trust in software tools results are compromised, questions arise in every aspect of the tools integrity. To learn of the tribulations one organisation faced when using an inaccurate software tool, click here. That is why ITEM Software took the time and effort to have our software independently validated by two independent organizations, The Bureau of Veritas and the University of Maryland. A Quality Program registration does not ensure accurate results it only validates that you have a quality program in place. Only independent validation is the method recommend by professional organisations. ITEM Software has always and will continue to validate our results to give our customers the confidence they need and expect. 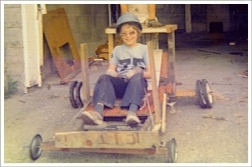 As children, building go-carts was a favourite pastime. During its lifetime, failures may have occurred which caused us to make changes. The axle would fall off so we would use bigger nails. If we went over a ramp our mothers would yell at us so we eliminate the ramp (or use it when she's not home). The same applies to our products or processes we are engaged in. A component may fail so we add a backup. A process may be too risky so we update a procedure. In some industries this revision process is regulated and documented, while in others it may not. Old designs are compared to new designs to predict improvements in reliability and reduced risk. It is a wise business practice to capture and monitor changes not only for regulatory requirements but also to have a historical mural of our products and processes as they matured. To learn more of tools and techniques to manage your product life cycle, click here .